Kenny Omega walks into Power Struggle with only half of his briefcase still alive. On the briefcase, it has the date for Tokyo Dome and mentions he has a title shot against Kazuchika Okada. In 2013, the one carrying the briefcase was Tetsuya Naito. Everyone thought that him going against Okada was not good enough for the Wrestle Kingdom main event. So, New Japan Pro Wrestling decided to do a fan vote. Okada vs Naito was not the main event anymore; it became Hiroshi Tanahashi vs Shinsuke Nakamura. 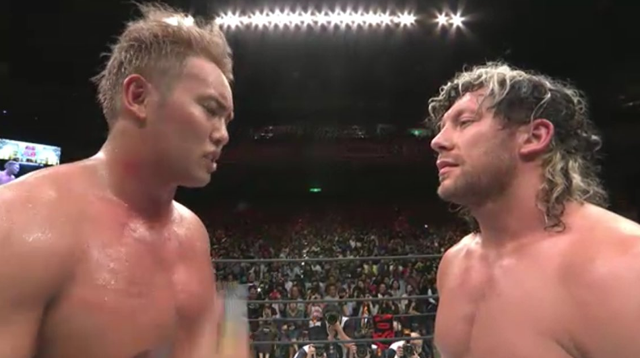 There is a fear there might be a fan vote this year to take Okada vs Omega out of the main event. The main event would be replaced with Hiroshi Tanahashi vs Naito. Here’s where everyone is wrong. If your thoughts are about Okada being in the main event again, I get it. Kazuchika Okada has been in the main event too long with the title. It feels like every Wrestle Kingdom for the past couple years, it has just been Okada, with or without Tanahashi. Kazuchika Okada should step back from the main event, and I’m not going to fight that. He can take that step back, especially being at the age of 28. At the same point, you are looking at the new ace. You are looking at the hottest act New Japan Pro Wrestling has in their hands. Kazuchika Okada has the looks and has the talent. To sit there, look at Okada, and say he’s boring means you’re done with his title reigns. Okada is still able to give you 5 star matches. The other thing you are not considering is Kenny Omega. Kenny Omega has had the best year ever, better than any Bullet Club leader. He kicked AJ Styles out of the Bullet Club and ranked himself up from junior to heavyweight. He then created the Elite with the Young Bucks. With the Elite, he won the NEVER Open six man Heavyweight Championship and the IC title. He made New Japan’s first ever ladder match. Now he did something no one previously in Bullet Club leadership did. 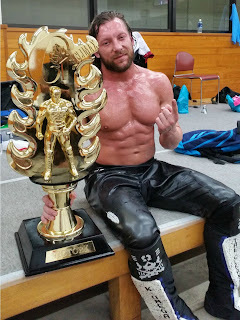 He was the first Gaijin to win G1 Climax and a shot at IWPG Heavyweight Title. Now, you want to take this away from Kenny Omega? Kenny Omega is on a hot run as leader of The Bullet Club and The Elite. Kenny Omega is the guy you witnessed within a year go from a junior to a heavyweight. He went from being the one in the background to being in the main event spotlight. You can’t take this main event away from him. Now, while I would love to see Naito in a main event easily, we need to let the IWPG Heavyweight Title main event. You have two superstars who are creating an amazing storyline together. To ignore what Kenny and Okada have been telling is a disgrace to those two.